As we increase the percentage of electricity generated from renewables, one of the concerns is intermittency and the need to meet peak demand that can – and often does – occur at the same time renewables are not generating (or not generating as much). In fact, this fear is the basis for claims (including from people in prominent positions) fueling the fear that there will not be power when it is needed. 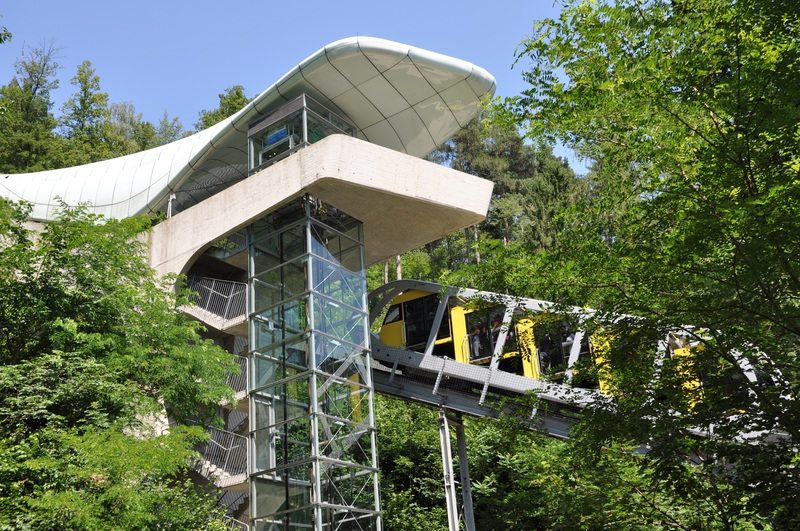 One of the things I remember being amazed by when I was living in Germany as a teenager was the funicular railways, (similar to the one pictured above, which is in neighboring Austria). All that was needed was a water supply and a slope. Passenger cars are joined by a steel cable that runs over pulleys at either end, and then underneath the cars. The cars travel up and down on a single track – which separates where they pass each other in the middle. The cars are loaded and then water from a nearby source is added to a ballast tank on the upper car until it weighs enough to have the force of gravity pull the lower car upwards. When the cars reach their destinations the lower one can be drained and the upper one filled. Some pump the water up, but the real genius is using only the water, diverted from a nearby stream or river to power the system. We can move the discussion about renewably-generated electricity (and concerns about intermittent nature of some of those sources) to one about beyond batteries and the need for the component metals and ‘end of life’ questions and start talking about energy storage. The fact is that if we start thinking of energy in all its forms – both potential and kinetic – there are other ways that we can harness one to help provide the other. This helps advance the growth of renewables because when wind and solar (or in fact any sources) are producing more power than is needed, they can be saved for those times when demand outstrips supply. One of the issues is the ability to come on line quickly, when generation dips or when demand soars. That’s one of the advantages of natural-gas fired power plants; they ramp up quickly to meet capacity demand. Natural gas has long played this "peaker" role in U.S. power generation and will continue to do so. This can happen as hybrid solutions at the individual power plant level, it can occur on the demand side of the grid, or we can continue the current trend of adding traditional natural gas generation to the grid. Similar to my train example, pumped storage plants harness the power of water, by using two reservoirs at different altitudes. When electricity is being generated, some is used to pump water from the lower to the upper storage area. When power is needed, the water is released; through turbines, generating power as any other hydroelectric plant. This is not a new or radical concept. In fact, Duke Energy’s Jocassee Hydroelection Station came on line in 1975. The Blenheim-Gilboa Pumped Storage Power Project, about 60 miles from Albany, New York, uses hydroelectric technology and two large reservoirs at different altitudes to generate up to 1,160,000 kilowatts of electricity. A similar concept is using compressed air which requires a large cavern or storage space. Another promising technology, vanadium flow batteries (often called v-flow batteries), lasts for more than 20 years, discharges 100 percent of its stored energy and can be used seemingly over an unlimited number of cycles. They require vanadium, which can exist as several ions of different charges in solution. V-flow batteries use the multiple valence states of vanadium to store and release charges. In short, the clean energy future is one that will require innovation and creativity, including an increase in investment in high efficiency energy solutions. But make no mistake, it is a bright future. 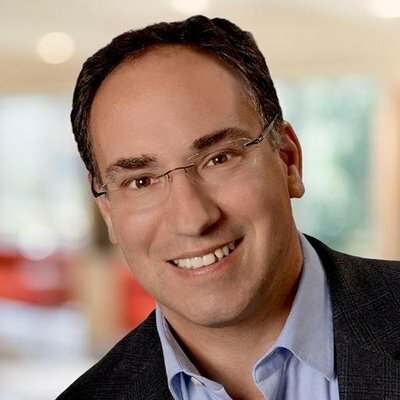 On digital media, Friedman is recognized as a thought leader; on Triple Pundit’s List of the Top 30 Sustainability Bloggers on Twitter, #3 on GreenBiz list of most influential 'twitterati', #14 on Guardian Business’ 30 most influential sustainability voices in America, was voted #4 of the "100 leading voices in CSR" by Global CEO Magazine readers, and has regularly been included among the top voices in CSR by Forbes.